> Movie Posters>Film Posters>French posters>RAMPAGE French 1p '64 Robert Mitchum & Elsa Martinelli in the African jungle, cool art! 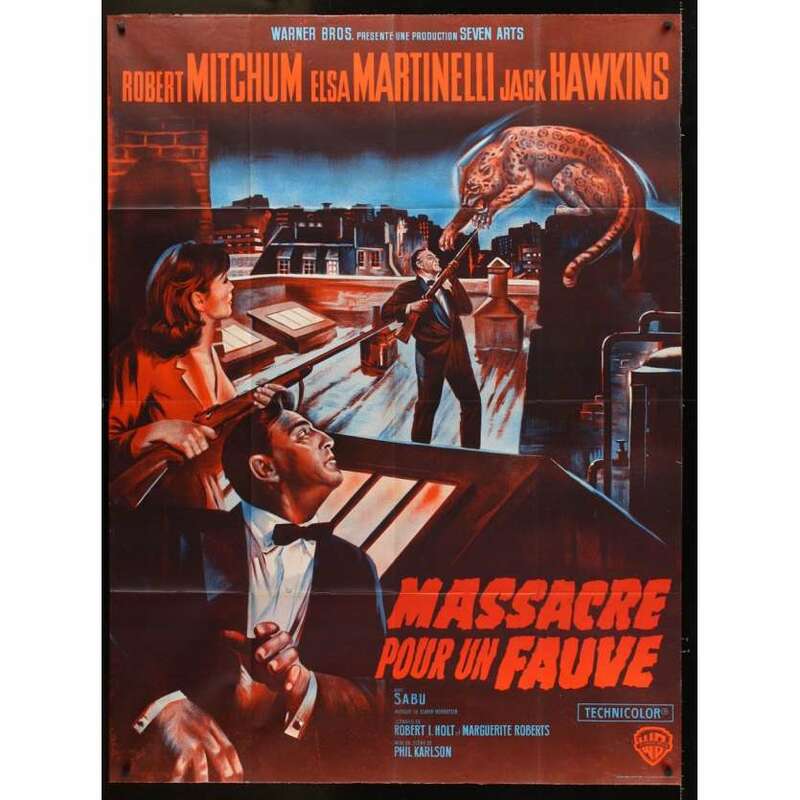 RAMPAGE French 1p '64 Robert Mitchum & Elsa Martinelli in the African jungle, cool art! An Original 1964 (from the first release of this movie in France) Vintage Theater-Used Folded French One-Panel "Grande" Movie Poster (1p; measures 45 1/2" x 61") Condition: Very Good (C6) See our 10 GRADE SYSTEM Page for more information. Rampage is a 1963 adventure film directed by Phil Karlson from the novel by Alan Caillouand, starring Robert Mitchum, Jack Hawkins and Elsa Martinelli.